Police are appealing for information after two off- road motorbikes were stolen in a burglary. The incident happened sometime between 4pm on Saturday August 23 and 7.45am on Sunday August 24. Both motorbikes were stolen during a shed break on Charnwood Drive, Melton Mowbray. 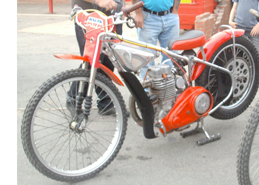 The first motorbike is described as a red and black JAWA speedway motorbike, frame number SP3 024. The bike has no brakes or gears and the carburettor had been removed. The bike has no number plate as the vehicle is only ridden off- road. The second motorbike is described as a yellow and black 50cc Malagutti motorcross bike. The motorbike has a sticker of a bulldog and the word “grizzly” on the front, along with numerous stickers with the logo for an energy drink. The rear shock absorber has been replaced with a rig pin. The bike again is only ridden off-road so has no number plate. Detective Constable 0837 Dave Ball is investigating. 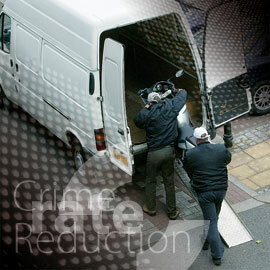 He said: “We are keen to speak to anyone who may have information about where these bikes may be.